The Federal Housing Administration, or the FHA, is a government-run agency that provides insurance on FHA-approved mortgage loans, in order to increase affordable housing in the U.S. The FHA, or Federal Housing Administration is a U.S. government agency within the U.S. Department of Housing and Urban Development (HUD) that provides mortgage insurance on home loans that are made by FHA-approved lenders. Insuring mortgages on single and multifamily homes, it is the largest insurer of mortgages in the world. By meeting certain requirements, lenders become FHA approved and are protected from severe losses if a borrower were to default on a loan. If you the mortgagee cannot afford to keep up with monthly payments, the FHA loan mortgage holder can file a claim with the FHA, therefore bearing less risk. 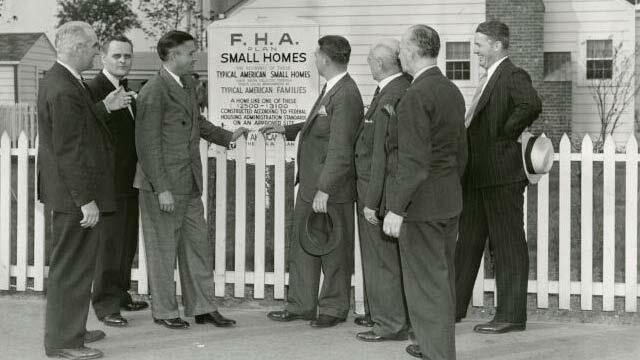 The FHA operates entirely off its self-generated income with no assistance from federal taxes. It uses the money collected from borrowers’ mortgage insurance to function. The FHA has assisted not only in real estate development, but overall economic stimulation, through building suppliers, job growth, schools, tax bases, etc.